Heraldry: Heraldry? in the News! 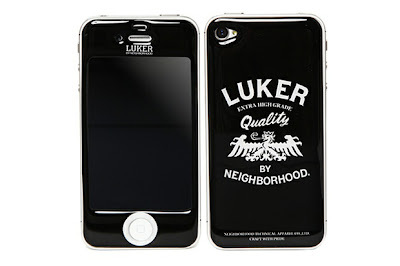 A recent "news" item (since really it was just a product announcement and not really news, per se) talked about new iPhone4 case from LUKER by Neighborhood. The case is noted to feature "LUKER's new heraldic coat of arms graphic." Yeah, well, I suppose a crowned eagle displayed might be considered "heraldic," but there's no way, since it is not placed upon a shield of any shape, that it can be considered to be a "coat of arms." A "graphic," certainly, no question. But a coat of arms? I don't think so. Could be interesting to note that eagle is take from an old artwork of mine - a "capo dell'impero" - published by "The complete book of Heraldry" of Stephen Slater, p. 201.